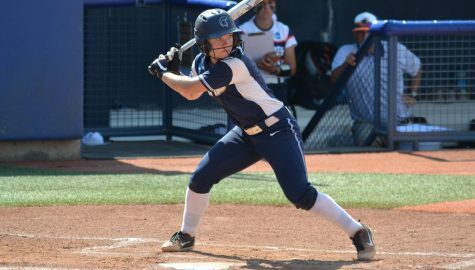 The softball team bounced back from a loss to win three straight games against New York University, bringing the team’s record to 20-7. 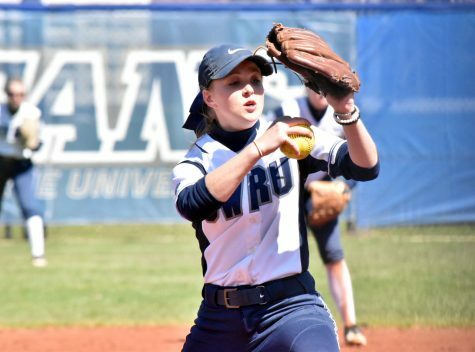 The Case Western Reserve University softball team kept winning April 13 and 14 at New York University (NYU), dominating a four game series 3-1. The successful weekend brings the team’s overall record to 20-7 and their University Athletic Association (UAA) record to 7-5, good enough for second-best in the conference. Leading up to the series, Head Coach Josie Henry had hitters focus on hitting into gaps and pitchers focus on getting ahead in counts in each at-bat. It seemed that preparation translated into success on the field. 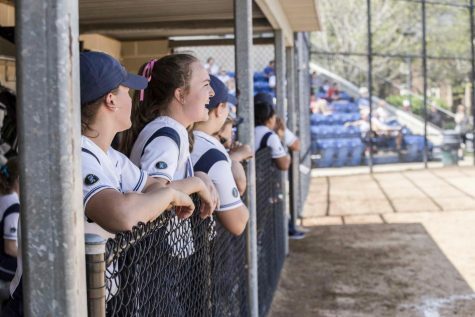 The team lost their first game 6-4 after a barrage of home runs by NYU, hitting two in the fourth and one in the fifth and sixth innings each. The four home runs led to six runs scored. Second-year pitcher Ilissa Hamilton was the starter, and pitched a complete game. 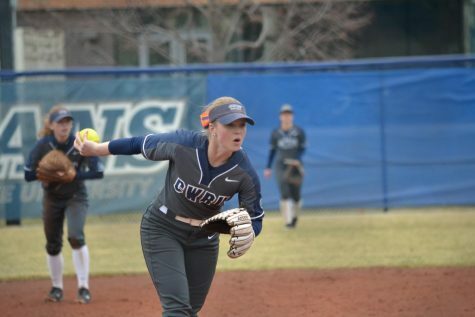 She threw eight strikeouts in the game, but was credited with the loss. Fourth-year second baseman Maren Waldner went 4-4 at the plate, scoring two runs and adding an RBI to her impressive performance. 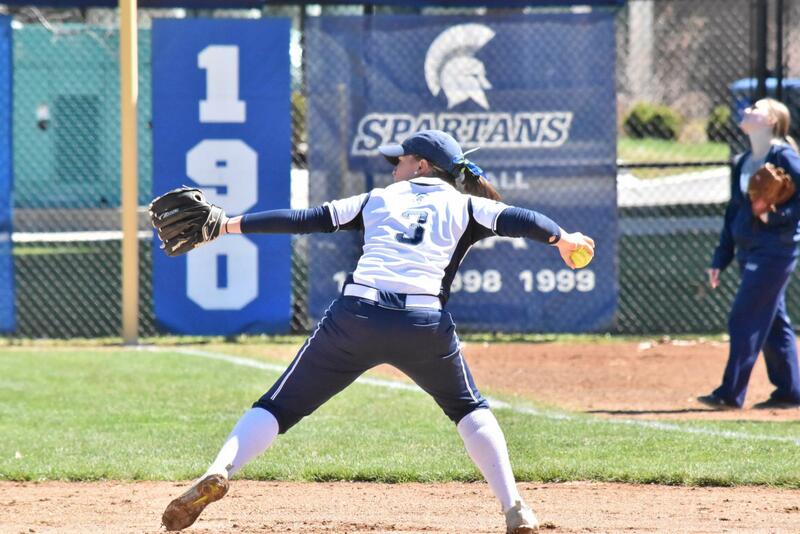 After the opening loss, the Spartans breezed through their remaining three games. 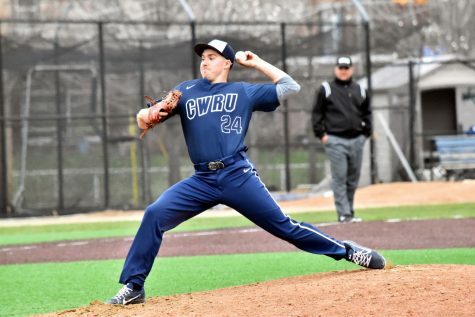 The second game of the first day was a 9-1 drubbing by CWRU that ended in six innings. The game started slow, with only one run for each team through four innings. However, the bats came alive for the Spartans, with three runs in the top of the fifth inning and five in the sixth inning. First-year right fielder Arisa Cleaveland led the Spartans at the plate with three RBIs and three hits in her four at-bats. It was an overall balanced attack, with five Spartans recording an RBI and seven getting hits. On the mound, first-year pitcher Sidney Brannam allowed only one run and six hits in her complete game win. The team woke up the next morning and continued their dominant play, crushing NYU 9-2 in the first game. Henry said that going into the second day she made a few lineup changes, moving some people around in an effort to create some more runs. Third-year shortstop Nicole Doyle led the hitting this time around, with two hits and three RBIs. Fourth-year center fielder Katie Wede also had a nice game, with three hits, one run and two stolen bases. NYU struggled against Hamilton in this game, managing only four hits and two runs. Hamilton struck out seven, bringing her record to 8-4 on the year. It was more of the same in the final game of the series, as the Spartans closed NYU out with a 6-0 win. Brannam won her tenth game of the year and threw a complete game shutout. The scoring started in the first inning as the team jumped out to a 4-0 lead. Wede continued her tremendous day with a 4-5 outing at the plate and two runs. First-year third baseman Sarah Miller had two RBIs with a triple in the first. First-year catcher Jordan Gross hit her first career home run to center field. “We played some really good defense [this weekend],” Henry said. “Miller made probably three or four really good snags at third,” adding that the newcomer’s play at the corner has been impressive. The team returns home April 20 and 21 for another four game series against another UAA foe, this time Washington University in St. Louis (WashU). The second day will also be Senior Day, to celebrate the dedication of all the fourth-year players. Henry also said that she expects to be challenged in the upcoming part of the schedule with two more UAA series. “The next two series are basically like a conference tournament for us,” Henry said. The WashU series also features an interesting storyline off the field. Hannah Mehrle, an assistant coach for the Spartans, is in her first year in that role for the Spartans. What was she doing last year? She was the position player of the year in the UAA at WashU. This is the first time she will face her alma mater after a spectacular career. Mehrle is a law school student at CWRU, but also helps out with the softball team when she can. The Spartans have plenty of motivation to win this weekend. Hopefully, their performance can match their expectations.